‘Be a tourist in your own town': October is Museum Month! SAN ANTONIO - October is Museum Month, and many of San Antonio’s venerable institutions are offering free or discounted admission to members. Just in time for the post-summertime blues, visitors at a dozen Alamo City museums will be able to join and explore the city’s vibrant visual arts scene. Visit www.museummonthsa.org for special events, exhibitions, and promotional offers. Artpace San Antonio is a contemporary art space that annually hosts three residencies which culminate in a two-month exhibition on site. It is free and open to the public. Blue Star Contemporary is the first and longest-running nonprofit venue for contemporary art in San Antonio. Briscoe Western Art Museum brings to life the vibrant culture and heritage of the Western United States through a permanent collection of Western art and artifacts. The Doseum, San Antonio’s children's museum, inspires children to use their inner creativity and curiosity to learn through play in more than 64,000 square feet of indoor and outdoor exhibit space. UTSA Institute of Texan Cultures features exhibits, programs, and special events that examine and promote heritage, ethnicity, history, social issues, and popular culture. McNay Art Museum is the first museum of modern art in Texas and houses modern masters such as Paul Gauguin, Vincent van Gogh, and Edward Hopper. *Offer limited from Tuesdays through Fridays. San Antonio Art League and Museum: Built in 1896, this intimate house-turned-museum and gallery now houses over 600 works in its permanent collection, which focuses on Texas artists. San Antonio Missions National Historical Park is part of a UNESCO World Heritage Site preserving four of the five Spanish frontier missions in San Antonio. San Antonio Museum of Art takes you around the world and through five thousand years of art in a complex of buildings that once housed the Lone Star Brewery. Southwest School of Art is the only independent college of art in Texas and it also houses regularly changing exhibitions of contemporary art by regional, national, and international artists. The galleries are always free and open to the public. Villa Finale Museum and Gardens: An Italianate mansion on 1.5 acres in the historic King William District showcasing fine & decorative artwork & Southern gardens. 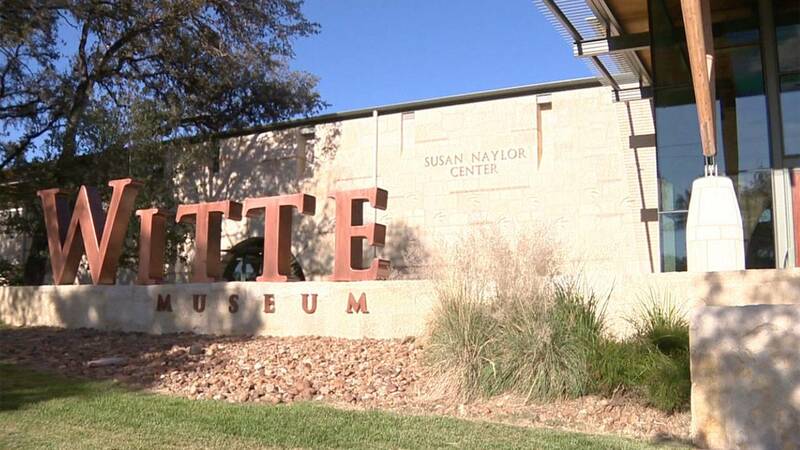 The Witte Museum promotes lifelong learning through innovative exhibitions, programs, and collections in natural history, science and South Texas heritage. *$2 off for members of participating institutions. *VIA VIVA is the Official Transportation Partner for Museum Month.They will offer fare-free service on VIVA routes (11, 40, and 301) every Saturday in October. *SWell Cycle will offer $5 off memberships during the month.